The zionist enterprise in Palestine has been based on an edifice of mythologies. Foremost among them is the myth embodied in a statement by Jewish writer Israel Zangwill, who claimed that Palestine was “a country without a people for a people without a land.” Like most sound bites, this specious statement served a useful purpose for the exponents of Zionism. Not only did it have the power to seep easily into people’s minds, it also clouded the thinking of many decent and well-intentioned people around the world by conveying the false impression that the “land of milk and honey” was sparsely inhabited or completely unpopulated. Yet since 1948 Palestine has been engulfed in war, bloodshed and destruction. The agonising history of the ongoing Palestinian cause, during which the Middle East has flowed with the blood of hundreds of thousands of Palestinians and other Arabs as they fought to roll back Zionist usurpation and expansionism, provides compelling evidence of the existence of a Palestinian people resisting occupation, and thus of the absurdity of Zangwill’s claim. In Palestine: A Personal History, Karl Sabbagh sets out to debunk the series of institutionalised lies used to justify the Zionist enterprise in Palestine. 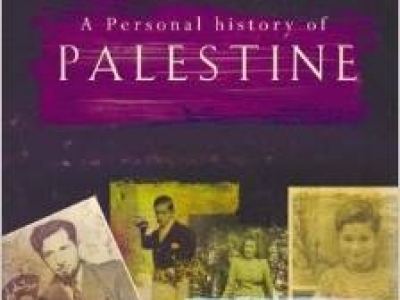 By writing a concise history of Palestine since ancient times, the author tries to “show that Palestine and the Palestinians do exist and have done for centuries” (p. 7). But his fast-paced narrative of the history of Palestine is intertwined with his own family’s history. Sabbagh is a writer, journalist and TV producer of mixed Palestinian and British origin. Constructing his historical narrative in a way that blends that which is personal with that which is related to momentous political and historical developments resembles in many ways complex works for television, in which intersecting story-lines and personalities wind their way through a programme, offering their audiences in the end a coherent and greater whole. Similarly, the structural coherence ofSabbagh’s multi-threaded plot amounts to a complex, yet lucid, and passionate historical narrative. Sabbagh’s narrative starts in antiquity, which witnessed a wave of migrations from the Arabian Peninsula resulting in the settlement of population groups in various parts of the eastern Mediterranean region. “These people are labelled together as Semites because their languages were all related and presumed to be derived from a common tongue … The group that populated the area ofPalestine became known as Canaanites. Another group of Semites left the Arabian peninsula, arrived in Egypt and then, two thousand years after the Canaanites, travelled to Palestine, where they became known as Hebrews” (p. 14). Exploring the ancient history of Palestine, Sabbagh embarks on an excursion into the realm of unconventional historical research. He quotes extensively from the works of unorthodox, revisionist historians and academics such as Niels Peter Lemche, Ze’ev Herzog and Philip Davies, who have argued that the Old Testament’s account of the kingdoms of Israel and Judea is based on flimsy archaeological and historical evidence. Ultimately, the reader comes face to face with a flawed contention that denies not only the details of the Davidic period as recounted in the Old Testament, which is portrayed as a “fictional” work or “a religious and literary construction rather than an accurate description of events that actually happened” (p. 86). There is a thinly-veiled argument here in favour of dismissing the very essence of the story of the prophets Solomon and David, peace be upon them, which is common to all the monotheistic religions, as mere fiction. It is true that there is no logical or methodological reason for rejecting revisionist works out of hand just because they articulate an unconventional, perhaps shocking, point of view. Some revisionist works might well be based on solid methodological grounds, reliable research and cogently-argued critical analysis. But the author seems to have fallen prey to the allure of what might be called a “retaliatory falsificationist methodology”. Arguing against the zionists’ extreme denial of Palestinian history, Sabbagh has fallen into an extreme denial of ancient Jewish history. Exiling the history of the Davidic period to the realm of apocrypha is the moral analogue of the zionists’ denial of the Palestinians’ identity and domicile inPalestine. Sabbagh’s father, Issa, was a broadcaster for the BBC Arabic Service during the fateful years of the second world war and the Palestinian nakba (the catastrophe of 1948). The author traces the history of the Sabbagh clan, a Christian Palestinian family, back to the Ottoman era, when most of Palestine was ruled by Shaykh Daher al-Omar al-Zaydani, a local Ottoman governor described in the book as “the first king of Palestine.” Karl Sabbagh’s ancestor, Ibrahim, was a trusted courtier, advisor and a kind of “vizier or chief minister” to Daher al-Omar in the mid-18th century. Two other Sabbaghs, Abud and Mikhail, also worked as advisors to Daherand, after his downfall, wrote biographies of the ruler. Sabbagh does not attempt to provide a sanitised or romanticized version of his family history; his account of his ancestors exudes candour. Take, for example, the picture he presents of Ibrahim, who was “a nasty piece of work, although his worst excesses go unmentioned by the Sabbaghs who became Daher’s biographers. But I must tell the truth. My great-great-great-great-grandfather was, among other things, a miser and an embezzler” (p. 29). The story of the careers and exploits of these early Sabbaghs under Daher al-Omar serves two purposes. On the one hand, it introduces a long genealogy of a Palestinian family living and interacting with other Palestinians in a quite organised agricultural socio-economic setting, with a sophisticated cultural and political life, especially in the cities and towns. More importantly, it also seeks to show that at least since the 18th century, a semi-autonomous Palestinian polity, or the precursor of such an entity, existed in Palestine. Sabbagh shows that “for a considerable period of time Daher al-Omar, of Bedouin stock, ruled over an area covering what is now northern Israel and southern Lebanon, and sometimes as far south as Gaza” (p. 27). Sabbagh makes excellent use of Palestinian, British, Jewish and Israeli sources to produce evidence showing the Byzantine labyrinth of machinations that enabled the zionists to deprive the Palestinians of their homeland. He constructs a panoramic political and historical survey of the escalating conflict between native Palestinians and Jewish colonisers and settlers and the role played by the British in ensuring the establishment of a Jewish homeland in Palestine. But for many zionists the idea of a national homeland was only a step towards setting up a Jewish state in the whole of Palestine. Sabbagh quotes a number of zionist politicians and writers to prove this point. Among them is David Ben Gurion, who was born in Poland and moved to Palestine at the age of twenty. Reacting to the proposed partition of Palestine by the Peel Commission in 1937, Ben Gurion said: “after we become a strong force, as a result of the creation of a state, we shall abolish partition and expand into the whole of Palestine” (p. 210). For his part, Vladimir Jabotinsky, a militant Russian-born Jew who played a key role in zionist terror organisations such as the Haganah and theIrgun gangs, derided the idea of partitioning Palestine saying: “A corner of Palestine, a canton – how can we promise to be satisfied with it? We cannot. We never can. Should we swear to you that we should be satisfied it would be a lie” (p. 205). The author shows how the extraordinary sequence of events and developments – the Balfour Declaration, the succession of commissions, the UN resolution to partition Palestine, etc. 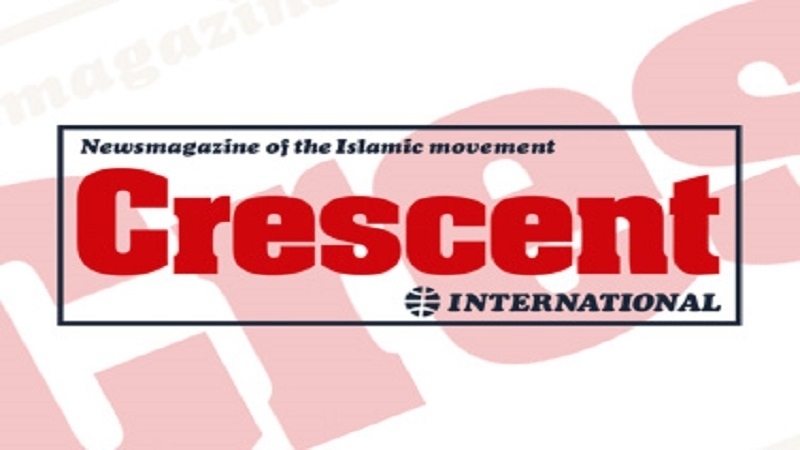 – contributed to the plight of the Palestinian people. In this context, he demonstrates how “political Zionists were simply dictating to the British government what they wanted to do about Palestine” (p. 111). Despite the spiralling violence and hostilities between the Jews and Arabs in Palestine before 1948, there was always space for goodwill between the communities. Sabbagh recounts a number of stories in this context which ultimately serve to humanise both sides of the unfolding conflict. When a group of “fifteen Arabs armed with rifles, revolvers, clubs and knives” surrounded a store near Bethlehem in which four Jewish quarry workers were hiding, “Muslim workers from Kfar Zurbahir, Ein Kerem and Kfar Artesstood at the door and prevented the raiders from entering” (p. 178). Likewise, Sabbagh relates a story about a trip that his uncleGhassan, along with a group of other Sabbaghs, had made travelling in a car which “fell on its side” near the Jewish settlement ofNahariya. Ghassan says that “the Jews were on their lands surrounding the main road. They rushed to us – a few of us were slightly injured – and they took us to their homes and offered us tea and cake and whatever they had” (p. 206). For the author, stories like these “show that the hostility between Jews and Arabs in Palestine was neither universal nor inevitable” (p. 178). Sabbagh relies on the work of Palestinian historian Nur Masalha to show that in the minds of the exponents of the zionist project, the goal of setting up a Jewish homeland in Palestine went hand in hand with the more diabolical idea of transferring the Palestinian Arabs out of Palestine. “As early as the 1920s, shortly after the Balfour Declaration and when the British were thinking about how to reconcile the conflicting claims of Jews and Arabs in some kind of unitary state, Israel Zangwill was writing: ‘We cannot allow the Arabs [90 per cent of the population] to block so valuable piece of historic reconstruction … And therefore we must generally persuade them to “trek”. After all, they have all Arabia with its million square miles … There is no particular reason for the Arabs to cling to these few kilometers. “To fold their tents and silently steal away” is their proverbial habit: let them exemplify it now’” (p. 212). In a similar vein, Sabbagh falls back on the work of Israeli historian Ilan Pappe to show that zionist gangs adopted a deliberate policy of “systematic expulsion” of Palestinians from their homeland. He quotes Pappe as saying: “It was clear to the Zionist leadership that without the uprooting of the local population it would be impossible to implement the dream of a Jewish nation-state” (p. 276). So zionist military operations were planned with a dual purpose in mind: “One was to achieve a military objective … The second purpose behind the Jewish military operations was to force the departure of ordinary Arabs from their homes for long enough to destroy their houses or villages and deny them the right of return, sometimes infecting the wells with bacteria to ensure this” (p. 283). Sabbagh’s personal history concludes in 1948, when more than half of Palestine was usurped by zionist gangs, resulting in the expulsion of hundreds of thousands of Palestinians from their ancestral homeland. Thus Palestine was lost despite the many sacrifices of Palestinians and other Arabs. What is missing from Sabbagh’s book is an attempt to explain the internal weaknesses that made the Palestinians prone to defeat at the hands of their enemies. There is hardly a moment of socio-political introspection in Sabbagh’s book, very little speculative or analytic effort exerted to try to figure out what might have gone wrong on the Palestinian or Arab side which effectively contributed to the loss of Palestine. Zionist brutality and British machinations were certainly part of the picture, but the lack of a strategic plan on the part of the Arab leadership, the absence of a united military command structure, inter-Arab factionalism and incessant feuding, and similar problems, all made it impossible for victory to come within the reach of the Arab side. By interweaving his own family history with the history of Palestine, Karl Sabbagh has infused his book with extraordinary richness. He successfully shows the continuity of the Palestinians’ presence in Palestine, in contrast to the zionist myth that Palestine was “a land without a people.” The book is so well and lucidly written that it provides a vibrant and richly-textured story of a tumultuous chapter in Palestinian history.